Hey Everyone! Its time for the letter D. D for Dolphins! I wanted to try something a little different for this challenge. Since, we're still in August I wanted to do a homage for the last few weeks of summer. And let me tell you I am really glad I went a different route. 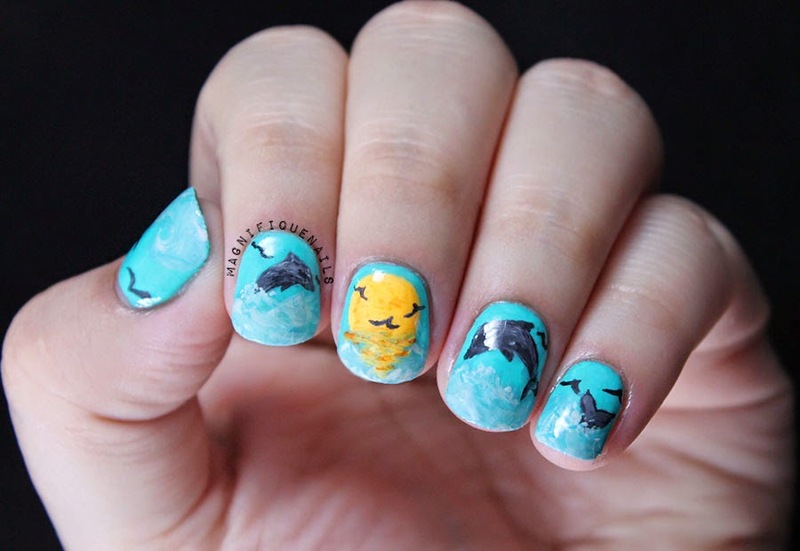 I originally planned on doing these dolphin nails, but I completely forgot about them. It happens to me all the time. Luckily, I sketched the design just in-case. So here it is and I absolutely love it. What do you guys think? For the base, I applied 2 coats of Polish Me To Go Blueberry Smoothie. 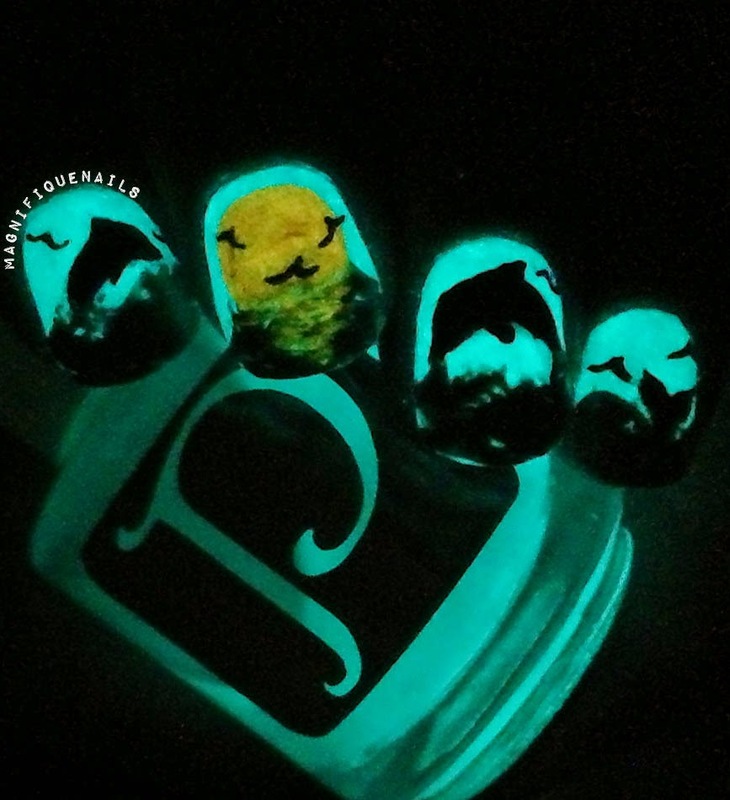 I love this color, especially when it glows in the dark! Once the base is dried, create the sun, using Polish Me To Go Mango Mania. I highlighted the sun rays, giving the affect of reflection in the ocean. 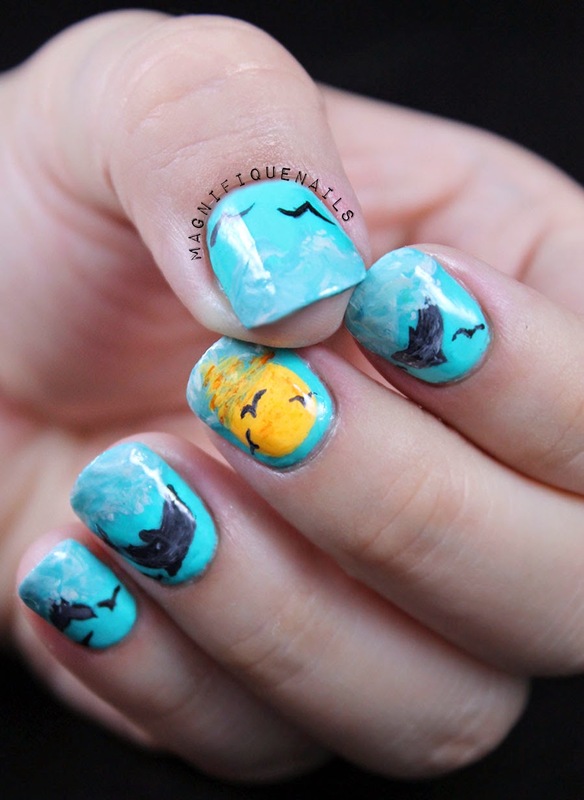 Using a nail art brush, create the waves by using acrylic paint. I used a light blue, grey and white for the waves. 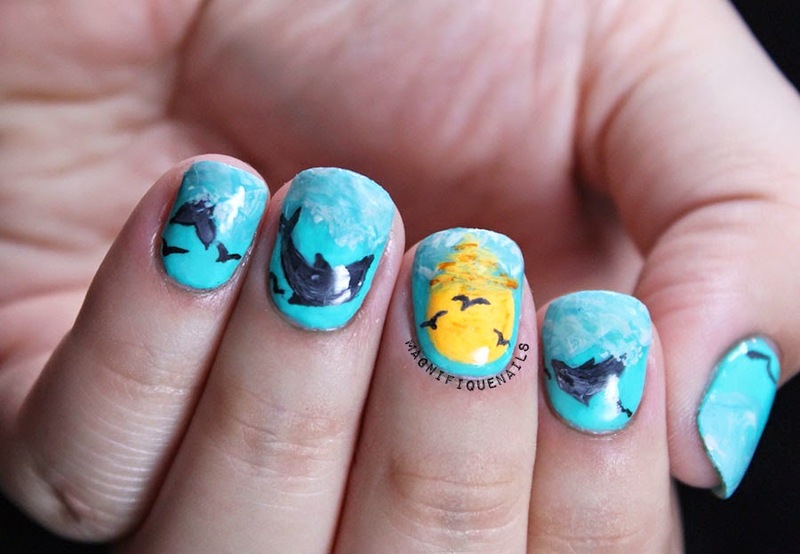 For the dolphins, I used a mixture of grey and white acrylic paint. 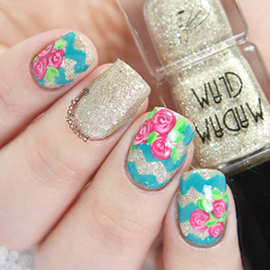 Normally, I don't use acrylic paint for most of my designs, but they do come in handy when creating features or certain design you can't normally use with nail polish. You can purchase acrylic paints pretty much any crafts stores, I purchased the miniature sets in Premier Nail Source, they have all sorts of colors. These sets are great if you don't use to much acrylic paints. 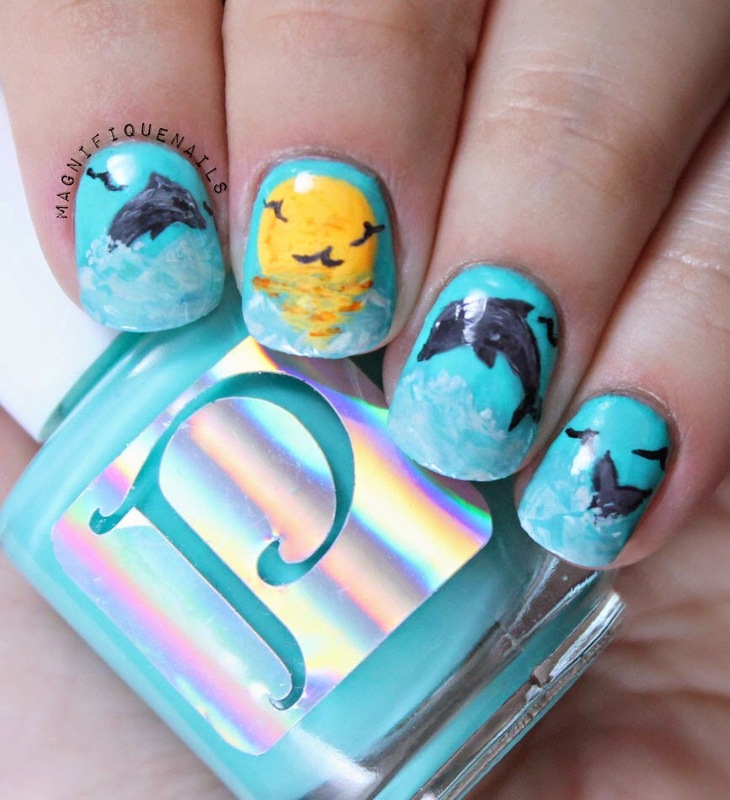 Seal the design with one coat Out the Door Top Coat.Once done, place your nails under the fluorescent light for a few seconds and watch your nails glow in the dark. Pretty cool, huh!